When I started this blog I never imagined that people would be interested, that people might actually read what I have to say! I definitely never imagined I would get 1,000 followers on Instagram! 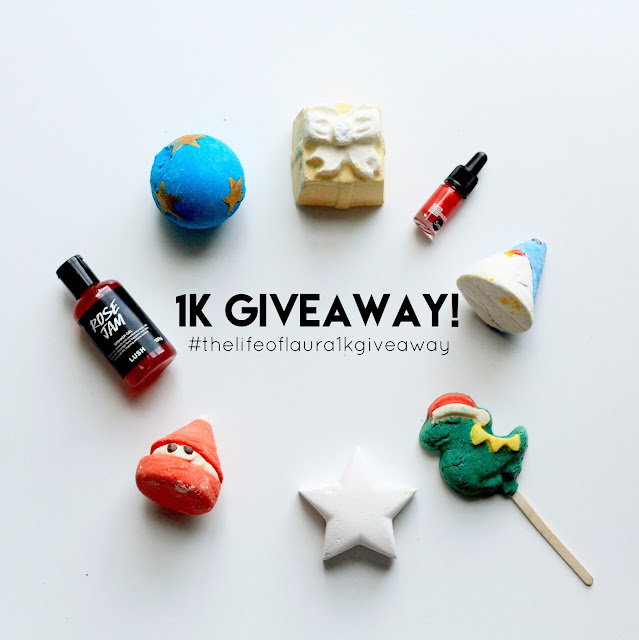 To say thank you, I am having a little giveaway over on my Instagram account (@the.life.of.laura). 4. Tag two friends who might be interested in the comments! They must be real accounts no celebrity or fake ones! For a bonus entry: In the comments below, comment what your absolute favourite Lush product is! Or, if you've never tried Lush, what product you most want to try! Please include your Instagram name in the comment as well so I can keep track of your additional entry! This giveaway is open to Australian residents only. Giveaway closes 11th November 11.59pm AEST and the winner will be announced over the weekend. No giveaway accounts! Angels on Bare Skin Cleanser is fabulous! Thanks for the giveaway! I love the Beautiful body wash, it smells amazing and the scent actually lasts on my skin. I smell good enough to eat! Lush products have beautiful scents and superior natural ingredients without chemicals. I would love to try Luch handmade soaps. It is a wonderful prize for indulging experience. I love it. Good luck to everyone. Thank you. Congrats on the followers lovely! Love being online friends with you x. This prize is flipping amazing. Lush products are my jam. Will need to remember to enter. Congrats on 1000 followers! 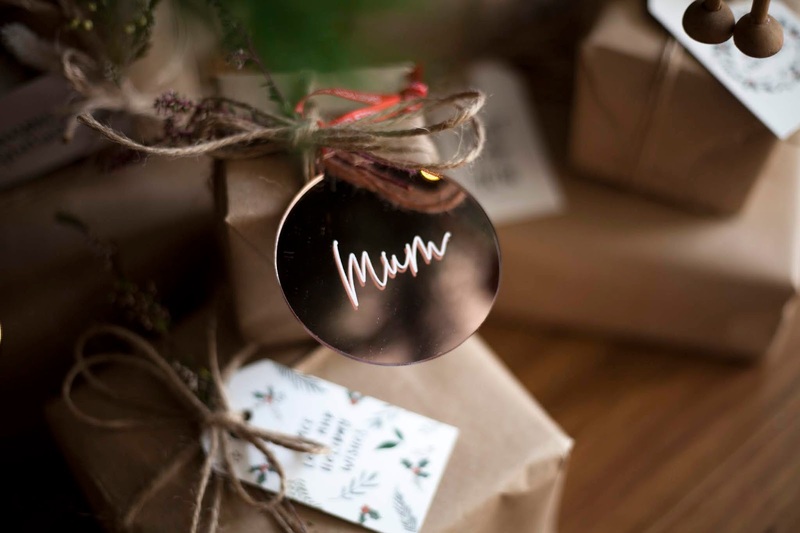 I've marked this giveaway down to enter, it's a fab one. I love Lush! 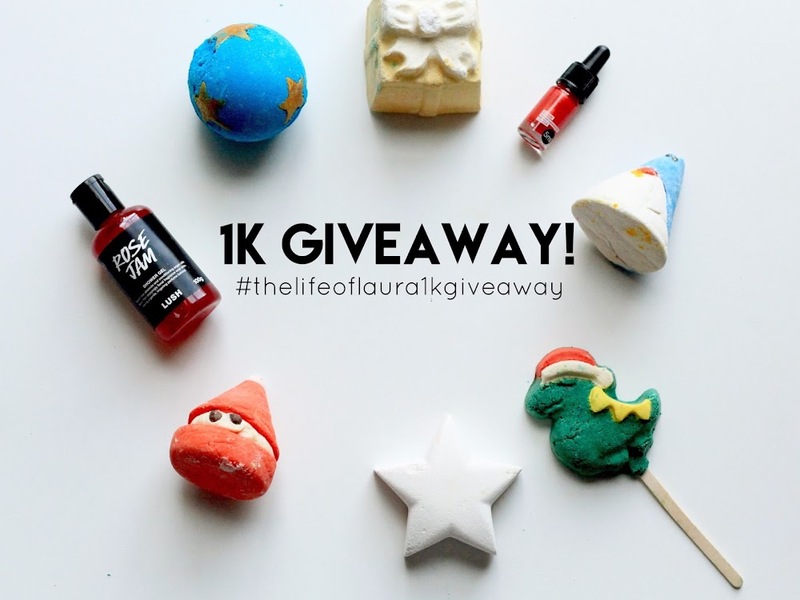 Oh yum, what a delightful giveaway Laura - I've been avoiding Lush because I don't have a proper bath, and I just get all cranky when I go into the shop and can't buy any of their ballistic bombs. Can't wait to get to my new house! My daughter got me a few lush to relax from moving house and I am hocked. They are fabulous, I have never felt so good after a lush bath. The Percup Massage Bar is amazing! The coffee bean & coconut fragrance is pure heaven after a hard day. I hear the masks are devine, and edible?! @becaleap ps. Thanks for the awesome giveaway! Love to try the Veerappan !! For a sleek and stylish moustache. I love Angels on bare skin but my absolute favorite is the lip scrub in caramel popcorn. I bought Buffy Exfoliating Bar last time I went to Lush. It was divine. I'd love to try The Rough with the Smooth Bar next. Karma soap! It's been a favourite for many years and the scent evokes so many wonderful memories! I love the butter bear bath bomb, am eager to try some other Lush goodies! My first ever experience of Lush was through the Rose Jam body wash and I LOVE it sooooo much! I'm a fellow beauty heavener! Found you on the forum. My absolute favourite Lush product is the herbalism facial cleanser - it does wonders for my skin. The WHOOSH shower jelly is amazing! Perks me up better than an espresso and my skin feels so good afterwards. I love whole range especially the body wash. The scents are amazing, they are made with natural ingredients and don't harm my body or the nature. That is hard to find in beauty products, believe me! I'd love to try any of their products, I'm usually too busy to pop into the store, but when I do, I'm overwhelmed!